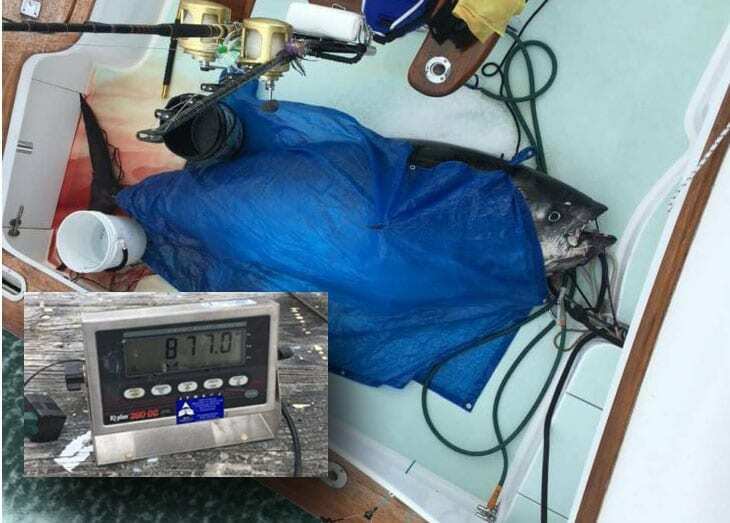 A possible new state record for bluefin tuna was caught Saturday by an angler aboard a Pirates Cove Marina boat on the final day of the 2017-18 season. The 877-pound bluefin was brought to shore aboard the A-Salt Weapon, after a 2 1/2 hour fight and another 90 minutes to pull it on board, according to the Pirates Cove Facebook page. The angler was Scott Chambers from Townsend, Del., a retired U.S. Army general. If certified by the N.C. Division of Marine Fisheries, it would shatter the previous state record of 805 pounds, set in 2011 by Corey Shultz of Waverly, Va. fishing aboard the Sea Breeze out of the Oregon Inlet Fishing Center. 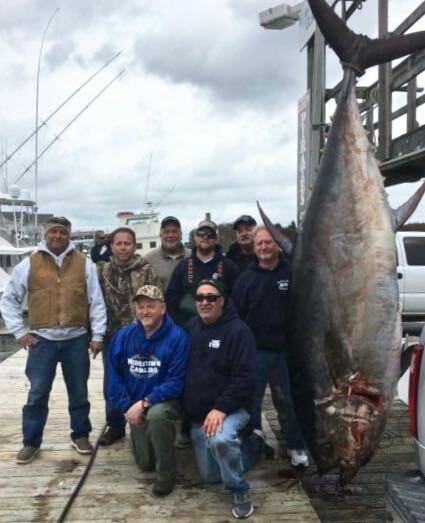 A bluefin weighing more than 1,000 pounds was brought to the docks in Beaufort earlier this winter, but because that catch was sold to a dealer it was not eligible for the recreational-only N.C. Salt Water Tournament record. How much was the tuna worth did they sell it . No, it was not sold. The commercial season closed several weeks ago. I hope they used ever part of that old fish !!!! As an avid angler I’m excited to see such a catch, the fight must have been epic! As an avid angler I’m also sadden that these Blue Fin are going the way of the American Bison, hopefully like the Bison we can save them before it’s too late. You don’t like to eat fish?